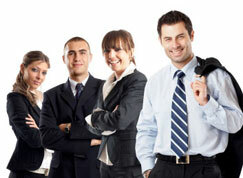 We are a one-stop formation and filing service for all types of business. Our Mission is to provide the best service making the process seamless. Interstate has served business operators, entrepreneurs, accountants and lawyers for over ten years with comprehensive document filing and corporate formation services. Interstate’s team of filing professionals are experts in all types of transactions and have helped hundreds of professional firms expedite the filing of important documents across the country.